A Norfolk vineyard has been awarded a £23,000 grant to conduct a research project on the important cool-climate grape variety, Bacchus. Flint Vineyard, based in Earsham, South Norfolk, received the grant from the Eastern Agri-Tech Growth Initiative, which funds small to medium-sized enterprises to improve agricultural productivity or develop new technology for the agri-tech sector. It is responsible for the distribution of £3.2 million of funding for agri-tech awarded by the government in 2013. Flint intends to use the £23,000 grant to carry out scientific fermentation trials using the Bacchus grape in order to optimise the organoleptic profile of its wines. It hopes that its work will help to make English wines more competitive in the premium wine market, New Anglia Local Enterprise Partnership revealed. Regarded as one of the UK’s most promising grape varieties, Bacchus is the country’s third most-planted variety representing 8.7% of plantings. An aromatic variety with similarities to both cool-climate Sauvignon Blanc and Muscat, it was created in Germany in 1933 as the offspring of a Silvaner/Riesling crossing and Müller-Thurgau. It is a hardy variety that ripens early and is well suited to the cooler conditions in southern England. 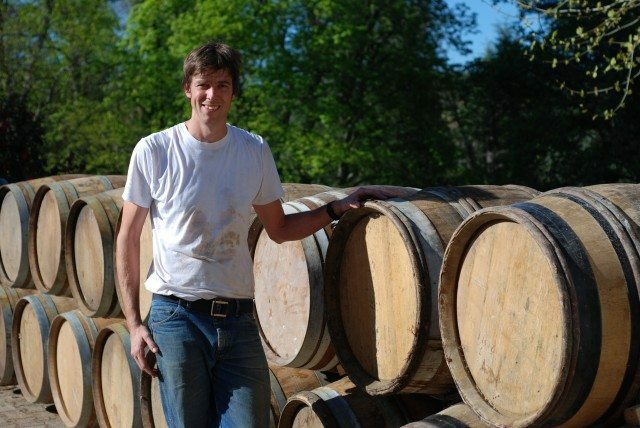 Winemaker Ben Witchell, who trained at Plumpton College and has gained experience at wineries in Beaujolais and California, will lead the trials at Flint’s ‘state-of-the-art’ winery, which has its own laboratory. “We are thrilled to be in position to carry out such exciting trials,” Witchell said. “The UK is being taken more and more seriously as a cool climate grape growing region and needs research like this to be on an equal footing with other New World countries. Mark Reeve, chairman of the Eastern Agri-Tech Growth Initiative, said: “Flint Vineyard’s project will progress wine production in the east by using innovative fermenting processes and scientific techniques to create high quality wines. The company will carry out research and trials on the Bacchus grape to achieve the perfect taste and aroma. Situation in the Waveney Valley of South Norfolk, Flint Vineyard will be planting its first vines this spring. While the vines will not be ready to produce wine until 2019, the winery will be producing a 100% Bacchus wine on allocation this year using grapes sourced from local vineyards. English wine industry has high hope for the Bacchus grape, which is enjoying significant success with consumers as interest grows in English wine more generally. The drinks business reported earlier this month how Marks and Spencer’s first vintage of Tintern Parva Welsh Bacchus sold out in just three months. In the 2015 English and Welsh Wine of the Year Competition, organised by the United Kingdom Vineyards Association, Albourne Estate’s 2014 Bacchus scooped Most Outstanding Single Varietal Wine and Most Outstanding Large Production Wine trophies. Chapel Down’s single-varietal Bacchus took the award for Most Outstanding Large Production Wine over 10,000 litres.